Anything that makes claims to be able to burn more fat, even if it comes with an asterisk next to it, has got to be a good thing!The asterisk on the Zipvit electrolyte drinks is to say that relative to conventional sports drinks these little beauties will help burn more fat – well I guess that’s good enough for me to start with. At just 50ish calories per 500ml bottle they are pretty close to being calorie negligible for drinking purposes, and I am going to hazard a guess and say that for the amount of times you will be lifting your arm to drink from your battle you may well find that the drink is effectively calorie free! When it comes to sports nutrition for me the biggest issue has got to be taste – it really doesn’t matter how well any product matches up it’s claims if I don’t want to ingest it in the first place.So with that in mind it seems like a logical place to start. Simply pop one of the tablets into 500ml of water and voila you have a bottles worth of electrolyte drink for your ride. This box came in cherry flavour, one of my favourites it must be said, and I can confirm that yes, it does kind of taste like cherry – in a sweety variant of cherry as opposed to actual picked off the tree cherries. Upon drinking it felt almost like the drink wanted to be fizzy, with a fizzy-popping like sensation on the tongue. Not unpleasant and certainly not long-lasting, actually a bit of an added bonus I thought! So as I said, flavour wise it’s certainly drinkable which is a grand starting point but does it also stand up to the electrolyte claims? We’ve been lucky with the weather recently so I have been able to get out and do some quality sweating to test out the drink. I’m not a big cramper, which is obviously good, but I do suffer from headaches at times which may or may not be caused by dehydration and electrolyte loss – I’ve been hospitalised from it but the doctors had zero clue what caused it! 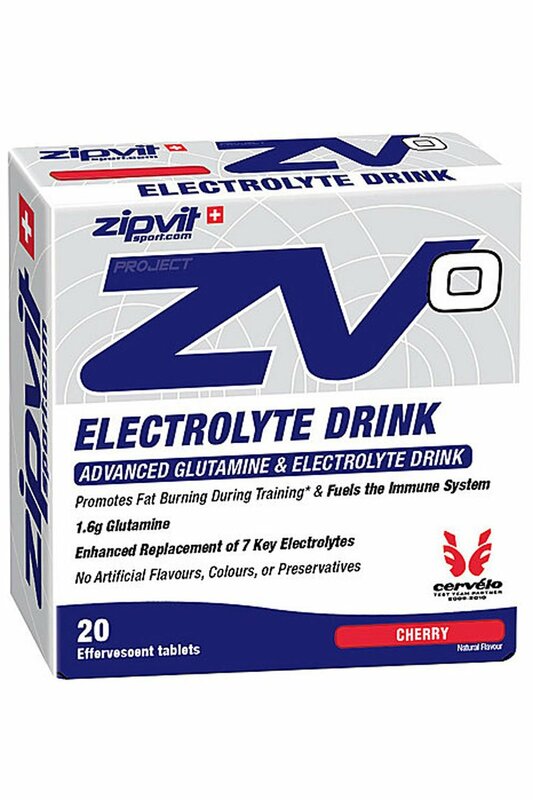 In use the electrolyte drink from Zipvit has certainly been drinkable, and with zero headaches and no cramping issues it has done its job well. At a penny under £10 for 20 litres of drink it represents pretty decent value and if you like cherry then it’s well worth picking up a box to keep you hydrated over the summer.